Is Mnangagwa’s outreach to the world a refined form of begging? In every single African country, young people make up the majority of the population – and they are generally very ill-served by their ageing governments. Young leaders, where they can be found, don’t just come with energy; the right ones can bring new ideas, technocratic competence, and a new idealism. Instead, some of the continent’s biggest populations are led by old men and their old cronies, who have depressingly little to offer. What does the future hold for Africa’s older, most entrenched leaders? Some seem determined not to be moved: Joseph Kabila is determined to cling to power in the Democratic Republic of Congo, as is Yoweri Museveni of Uganda. Other grand old men who’ve tried to hang on haven’t done so well, but their successors are hardly a breath of fresh air. 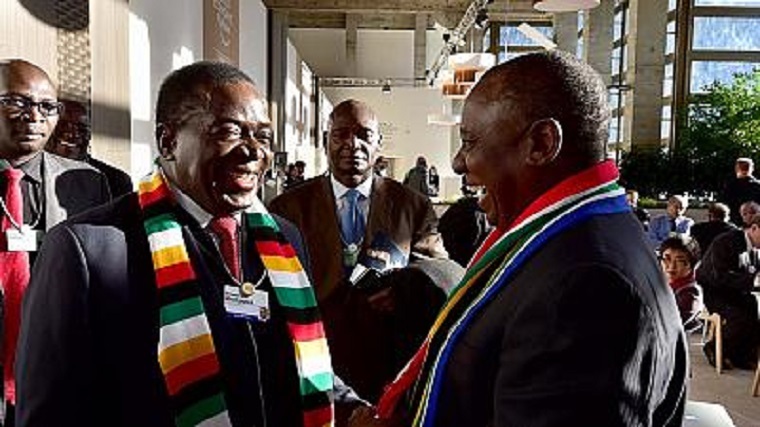 The ouster of Zimbabwe’s Robert Mugabe and the impending departure of South Africa’s Jacob Zuma have respectively brought Emmerson Mnangagwa to office and put Cyril Ramaphosa in pole position. But the two usurpers carry albatrosses round their necks. Both are saddled with unreformed, unhappy political parties. Mnangagwa is forever associated with Zimbabwe’s history of lethal violence; Ramaphosa, meanwhile, is associated with the 2012 police massacre of innocent people at Marikana. Change at the top is often no change at all. In Nigeria, meanwhile, septugenarian President Muhammadu Buhari is in poor health, and his bold promises have evaporated. A former president, Olusegun Obasanjo, has publicly advised him not to contest the next elections because of his health, but it was Obasanjo himself who helped the sickly Umaru Musa Yar'Ardua become president; he promptly died in office, leading to the disastrous elevation of his inept vice-president, Goodluck Jonathan. It’s bad enough that these leaders are creaking and unimaginative. But to make matters worse, none of their likely replacements or opposition leaders have youth on their side. None are nearly as sprightly as Canada’s Justin Trudeau, France’s Emmanuel Macron, or Austria’s Sebastian Kurz. More conspicuously still, no aspiring female president is anything like as youthful as New Zealand’s Jacinda Ardern.